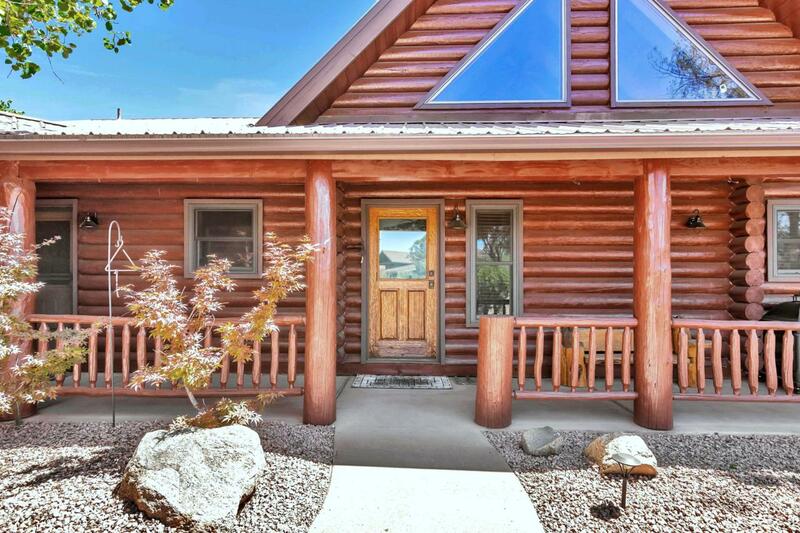 Spectacular log mountain home in Chaparral Pines! 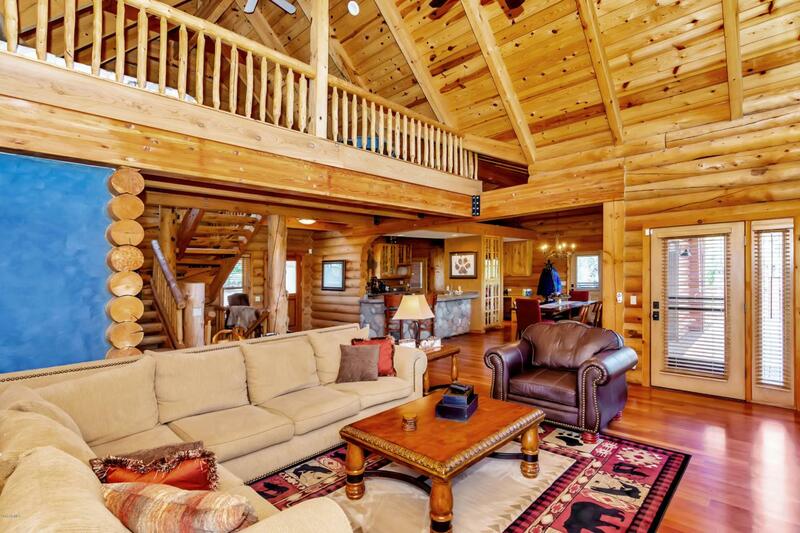 Experience log home living at its finest with this 4 bedroom/4 bath home which also has two flex rooms, ideal for additional sleep space, an artist studio, exercise room, game room, office space or whatever your need - One flex space is the loft on the second floor of the house and the other is above the garage. 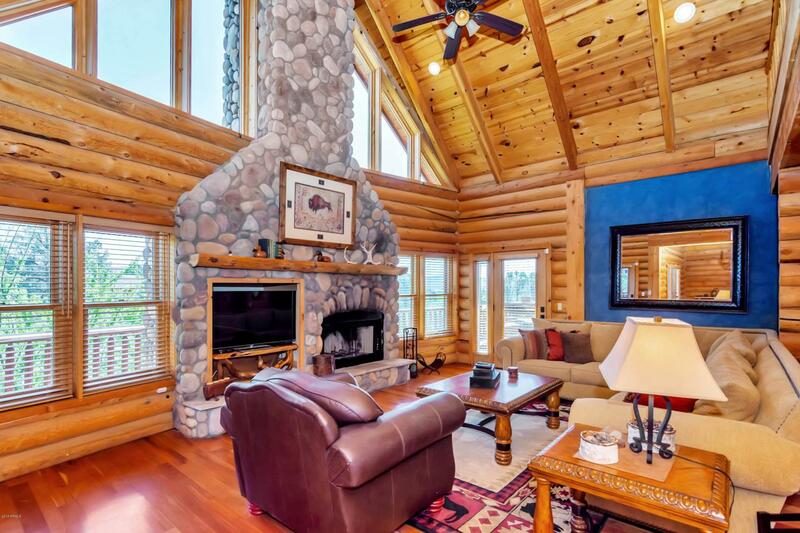 The Grand Great Room has a wall of windows that provides picturesque views to the pines and mountains, rustic knotty wood floors and stone fireplace. 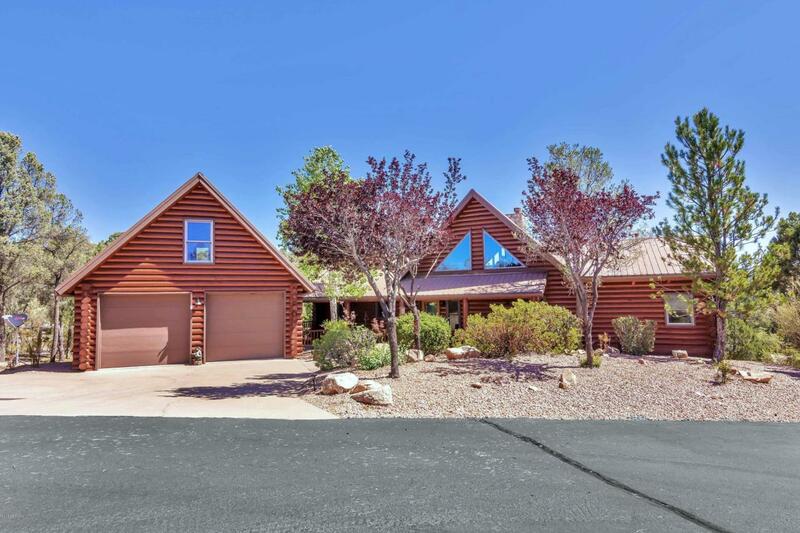 Step outside to the virtually zero-maintenance Evergreen wrap-around deck and enjoy your morning coffee while looking to the Mogollon Rim and listen the soft sound of wind in the pines. The kitchen and dining is tucked around the corner. Look no further, your mountain home awaits!